If you are someone who loves to travel, Malaysia is one country that you should definitely visit. Read this guide to know how you can apply for a Malaysia visa from Jakarta. Malaysia is a perfect mix of all Asian cultures and has a lot for all travellers, whether you are someone who loves nature or you are someone who loves history. More than half of the Indian population in Indonesia is based out of Jakarta and many of them plan trips to Malaysia every year. We received as many as 309 applications for Malaysia visa from Jakarta. If you too are planning a trip to Malaysia, you will need to know the Malaysia visa process. However, there is nothing that you need to worry about, as we can take care of all the requirements. Do you need a visa to enter Malaysia? Can you get your visa done from Jakarta? Indonesian citizens do not need a visa to enter Malaysia. However, if you are an Indian citizen living in Indonesia, you will need a visa to enter Malaysia. You can opt for Malaysia visa on arrival. However, for that, you will need to pay almost INR 7000 per visa. Also, you will have to wait in a long queue. With us, you will get your Malaysia visa for just INR 2800. And worry not, you do not have to visit the Malaysian embassy for it. You can apply for your Malaysia visa online and get the visa emailed to you. Apply for Malaysia visa from Jakarta here! Since 2015, Malaysia government fees which were INR 1000 have been waived off for Malaysia 15 days eVISA as well as Malaysia eNTRI visa for Indians. But VFS fees, as well as GST +VAT+ card processing fees, are still applicable. See the table below to know the cost of Malaysia visa for Indians. We have added our fee charges as well. 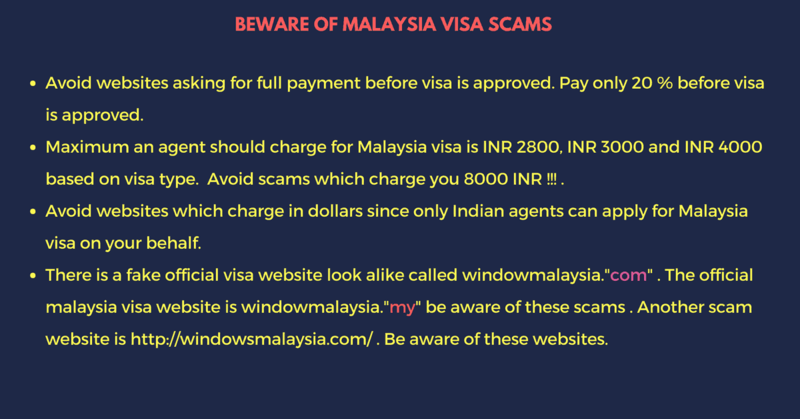 The web is flooded with fake Malaysian visa websites. You will come across fraud agents as well. These agents/websites just rob you of your money. Ideally, you should never pay more than 10-25% of the visa fee initially. You pay the entire amount only after your visa gets approved. You can check the status of your visa on the official government website to know whether it has actually been approved or not. Please avoid all other websites as these websites will just scam you and run away with your money. What steps to follow to apply for a Malaysia visa from Jakarta? You can apply for your Malaysia eVISA through us. We will take care of all the requirements and that includes your flight and hotel bookings as well. It is important that you have temporary flight and hotel reservations, so that you dont lose heavily if your visa gets rejected. And we offer you just that. 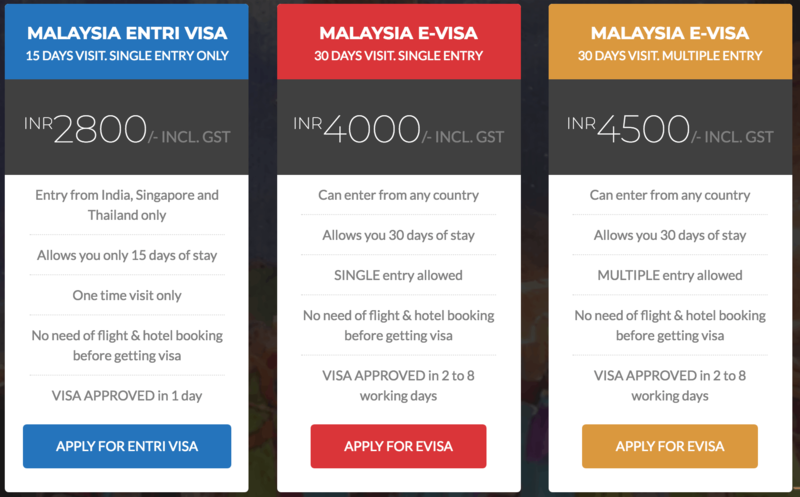 Step 1: Visit our website for Malaysia eVISA for Indians and click on ‘Buy Malaysia visa @ INR 2800‘. Step 2: On the new page that you are redirected to, you will have to choose the ‘visa type‘. Choose one depending on your travel plans. Step 3: You will find the visa application form below. Fill it carefully and ensure that the details furnished are correct. Our agent will give you a call and explain the entire procedure. Now, you will have to make 10% of the payment. Pay the rest only after your visa gets approved. There is an exception to this rule. If you are planning to leave for Malaysia within the next 7 days, you will have to pay the entire fee at the time of application. You can also apply at the official website of the Malaysian government. However, this has a high rejection rate. 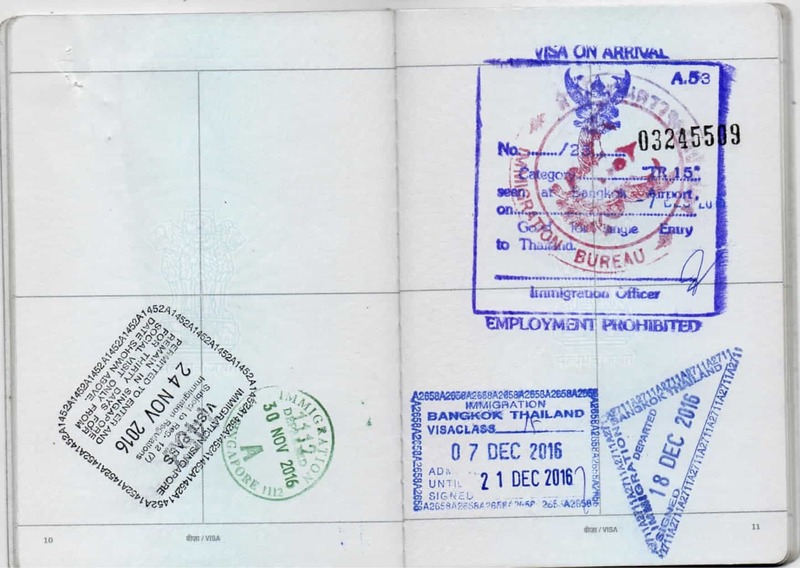 The documents required for both the kinds of visas are the same. 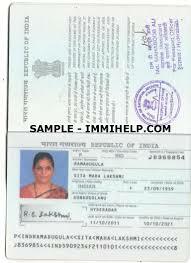 Your passport that needs to have a validity of at least 6 months from the date of your return to India. Ensure that your passport has at least two empty pages. 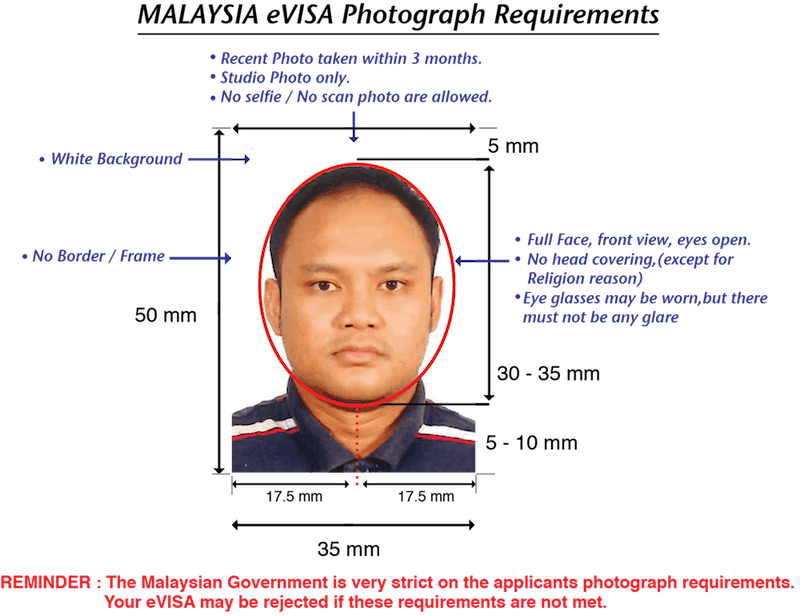 According to Malaysia eVISA requirements, you will need to send a scanned photo of yours which needs to be recent. The dimensions of the photo should be 35mm x 50mm and its size should not be more than 2 MB. The image that you upload needs to be in JPG or PNG format. A scanned copy of your valid passport’s first page. This also needs to be in the PNG or JPG format and its size under 2MB. A scanned copy of your passport’s last page. The format and size remain the same as above. 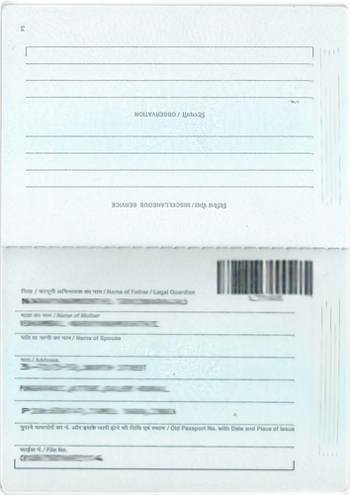 The scanned copy of the passport’s page that shows the travel record of your last international trip. Confirmed flight tickets to and from Malaysia. This document needs to be in the PDF format. We can arrange for the flight tickets required for Malaysia visa through our trusted travel agencies. This means you have zero risks of losing money in events that your visa gets rejected. Proof of accommodation and this is also something that we can arrange for you. This also needs to be in the PDF format. As already mentioned, we have trusted travel agencies. They will help in arranging for your hotel bookings for the entire duration. You can book your own hotel after your visa gets approved. What is the cost that you will have to incur for your Malaysia eVISA from Jakarta? 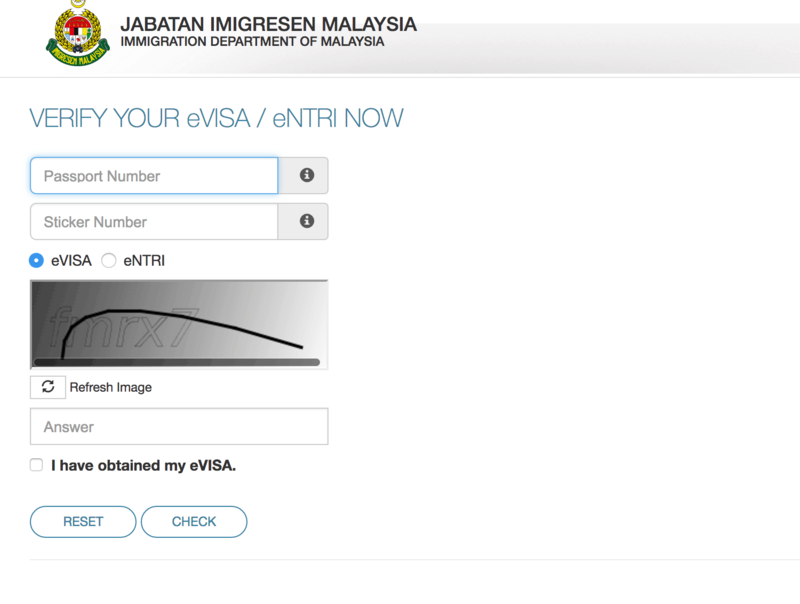 You will need to visit the official Malaysia eVISA website to verify the status of your visa. As clear from the image, you will need to enter your passport number, stick number, and the type of visa you have opted for. You may track the status of your application after this. What would happen if we overstay in Malaysia more than the days we are allowed to in the visa ? If you extend your stay to more than 30 days, you will be fined by the local authorities and consequently may even be denied entry. No, you will have to apply for your visa before entering Malaysia. 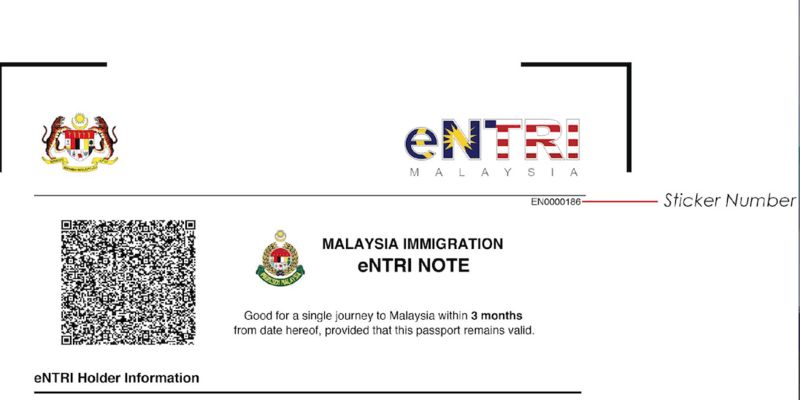 Should I re-apply for a Malaysia eVISA if my departure date changes but the new dates are within 3 months? No. 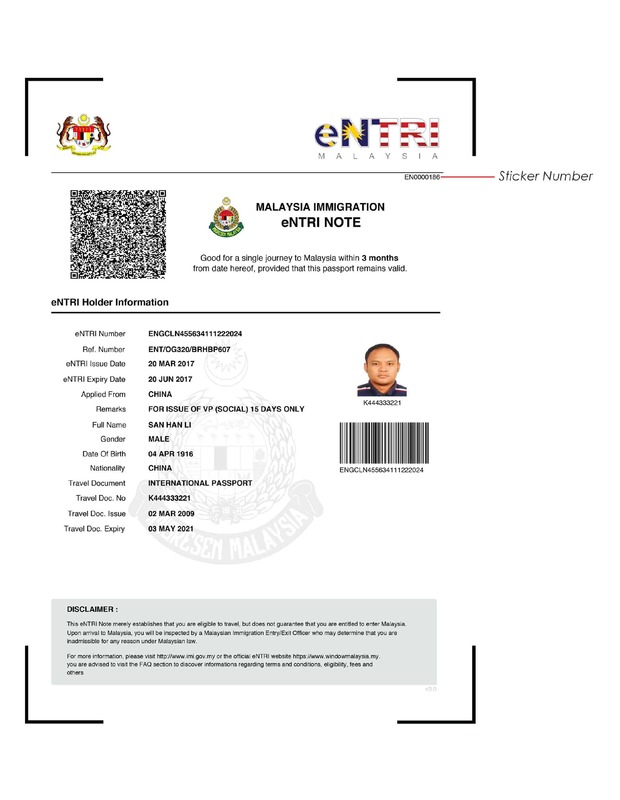 You do not have to re-apply for a new Malaysia eVISA within 3 months from the approved visa issuance date by the Department of Immigration Malaysia to enter Malaysia. Yes. You will need to re-apply a new Malaysia eVISA since the approved visa issuance date by the Department of Immigration Malaysia to enter Malaysia is valid for 3 months only. How long will my Malaysia visa from Jakarta be valid? Each Malaysia visa is valid for 3 months only. 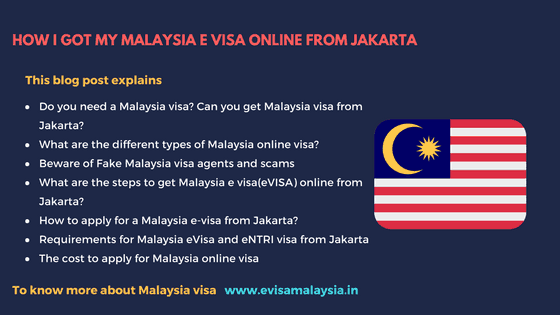 ← How to Apply for a Malaysia visa from Pune?